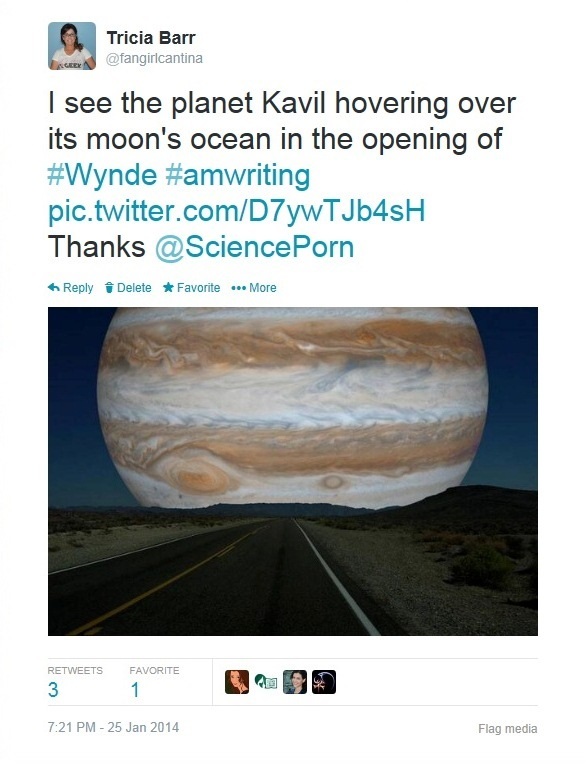 Sometimes the love for WYNDE is hard to keep up with, and I have an ever-growing file of links to tweets and posts. I have to admit it’s fun chatting about the novel on the record with my alpha-readers. During the writing process it’s like Fight Club, but now they too can have a little fun. I can’t reiterate enough how important alpha-readers are to the process, and also that you pick the right mix of people who can be critical and cheerleaders, because you need both as a writer. Priya Chhaya was one of the first alpha-readers to finish the novel. Below are some tweets about the book along with Sarah Woloski, who has given me several chances to promote the book on her podcast Skywalking Through Neverland. 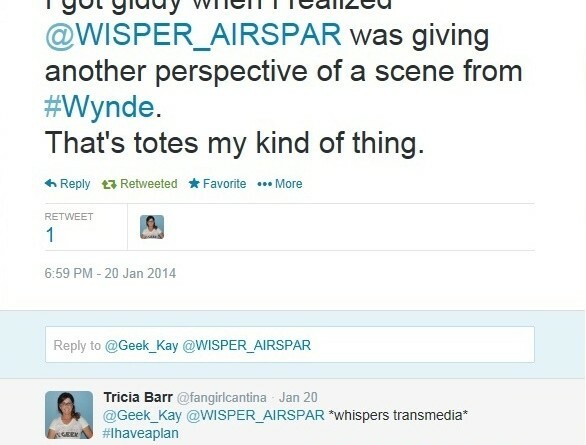 Priya writes some fabulous pieces at FANgirl as well as her own site …And this is what comes next. She is a long time Mara Jade fan, and we met back in the fanfic forums. 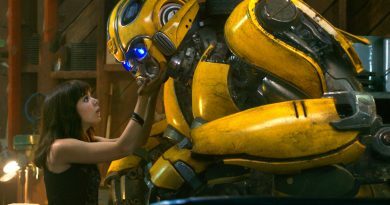 With her voice among many who were very enthusiastic about Gemini, I had a great feeling about the character. 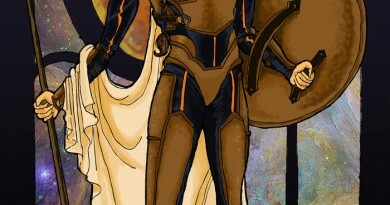 This week I just finished Gemini’s stand-alone short story, which will be published in the all-female produced and all-female protagonist science fiction/fantasy anthology ATHENA’S DAUGHTERS. You can pre-order it here. This weekend I shared with my editor some more tidbits about Gemini’s story arc, which is planned through all five books. I might have included some devious deflection using point of view in the short story, titled “Mission Accomplished.” The story reveals the events of the opening terrorist attack from Gemini’s point of view; in the novel we see Vespa’s. 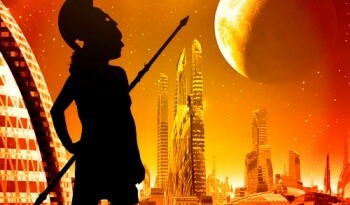 If you’ve read the novel, there will be some subtext that will rise to the surface. 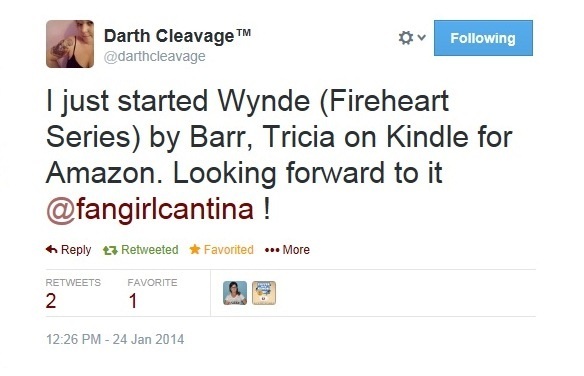 If not, it’s an exciting introduction to the Fireheart Series. 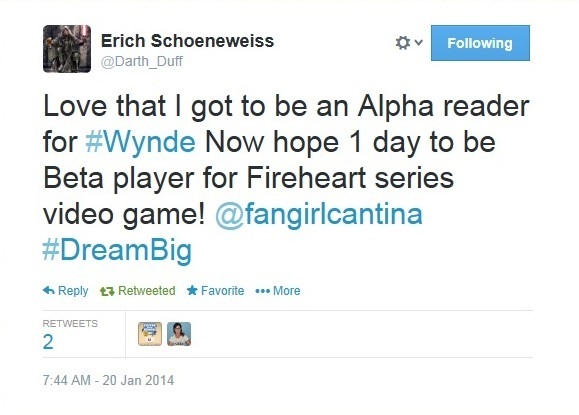 Erich Schoeneweiss is totally digging the possibilities of a videogame based on the WYNDE. The book was written with that type of tie-in in mind. Airspar, an team air racing competition which borrows from thrilling sports like NASCAR, Formula One, basketball, polo, and three-day equestrian eventing, has tons of possibility for single and multiple player gaming. Undoubtedly, the artificial intelligence WISPER would be part of the game. 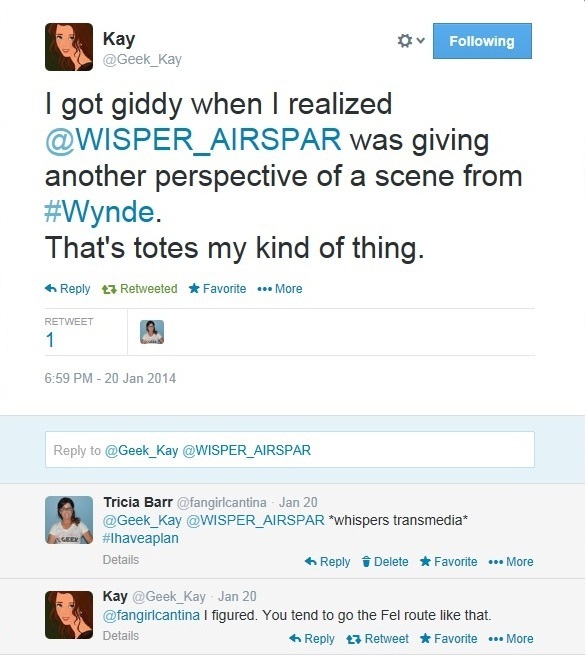 As Kay pointed out, WISPER’s Twitter account does reveal events from the book from another perspective. So if you follow her, who knows what you might discover. 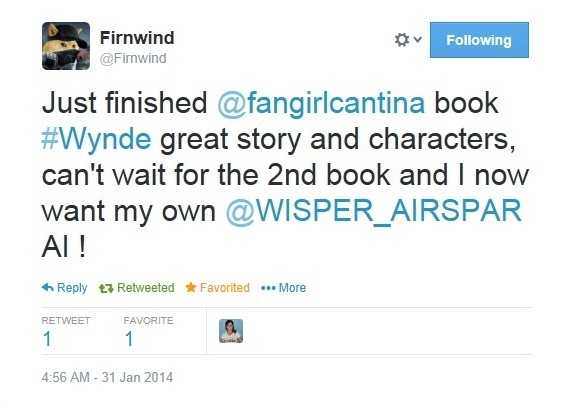 Other fans too are making my day by Tweeting their start to the book, or even their finish. Either way, it’s a thrill for me as an author. As a reminder, here is what you can do to help support WYNDE. UPDATE: Athena’s Daughters Kickstarter Is Live!